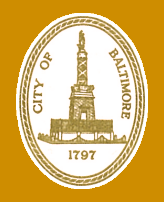 Minutes of the proceedings of the Board of Estimates are available in the Office of the Comptroller, Room 204, City Hall, 100 North Holliday Street, Baltimore, Maryland 21202. Minutes may be reviewed on the premises or photocopied. Minutes are available approximately 45 days following a Board meeting. Please contact the Comptroller's Office to verify availability. Online copies of the minutes of meetings of the Board of Estimates are available. The preparation of Board of Estimates minutes requires transcription and review prior to posting online. Board of Estimates minutes will generally be posted on a quarterly basis after this process is completed. The Board of Estimates meets each Wednesday at 9:00 a.m. and at 12:00 noon (12:00 noon for scheduled bid openings only) in the Board of Estimates Meeting Room, 215 City Hall, 100 Holliday Street. Board of Estimates meetings are open to the public. The schedule is subject to change. BIDS WILL NOT BE OPENED ON DATES THE BOARD OF ESTIMATES DOES NOT CONVENE. The administrative staff of the Board of Estimates prepares the Agenda for Board of Estimates meetings from submissions from City Agencies. The agenda submission deadline is 11:00 a.m. on the Thursday preceeding the Wednesday meeting, unless otherwise notified. All agencies must submit requests for Board of Estimates approval in the approved format. Copies of the Board of Estimates Agenda are made available in limited quantities on the day of the meeting in Room 215. The agenda is posted on-line on Monday afternoon before the Board of Estimates' meetings. Click here to download the latest agenda. The President's Memorandum for each Board of Estimates meeting is posted no later than the close of business the preceding Monday. The Board of Estimates Resolution on the Regulation of Board of Estimates' Meetings and Protests became effective February 05, 2014. Protest(s) should be submitted in writing by noon on the Tuesday preceding the Board meeting.